Julie Mallozzi is a documentary filmmaker based in Boston, Massachusetts. Her films explore the fluidity of cultural identity and historical memory. At the heart of Julie’s interest are the ways in which cultural traditions are “repurposed” to address contemporary social problems. Julie’s films have won awards at festivals around the world and have screened in museums, universities, and on public television. Her debut film, Once Removed, premiered at Boston’s Museum of Fine Arts. It tells the story of meeting her mother’s family in China and learning about their involvement in China’s complicated political history. Monkey Dance, which follows three Cambodian-American teenagers coming of age in Lowell, Massachusetts, is her second feature-length documentary. It reveals how traditional Cambodian dance helped three Cambodian-American teens navigate the minefields of urban adolescence. Indelible Lalita tells the story of a woman whose body — and identity — have been painfully transformed by ovarian cancer, breast cancer, and a dramatic loss of skin pigment. Julie is now finishing The Circle:: A Story of Murder and Reconciliation in Boston. As a freelancer in Boston’s lively documentary community, Julie has played many different roles. She field-produced the China segment of “Six Billion and Beyond,” a PBS documentary about reproductive health and population policy. She edited and co-produced Sharon Linezo Hong’s My Louisiana Love, and edited Ross McElwee’s In Paraguay. 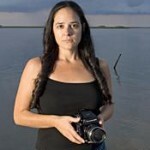 She has done camera work and editing for a number of different companies, and assisted with WGBH’s “Americas,” a ten-part series about Latin America; “Born Under the Red Flag,” about contemporary Chinese history; and “Pictures from a Revolution,” about Susan Meiselas’s experiences as a photojournalist in Nicaragua. Julie also produces a wide range of media for nonprofit and government organizations. Julie grew up with a Chinese mother and an Italian-American father in rural Ohio, where her family managed a Native American historical site. She received her BA in 1992 from Harvard University and her Master of Fine Arts in 2010 from the San Francisco Art Institute. She has taught film and videomaking at Harvard University, Massachusetts College of Art and Design, Boston University, and Rhode Island School of Design.